If you still need help then please do email [email protected]. If your email is about an order please give the order number AND the email address used to place the order. If you have problems with the Player please specify Mac/PC/iPad, the version of the Mac/PC Player you are using and also which operating system and version you are using on your computer. How does the licensing work for CCLI? Our preference is for email contact and we work hard to ensure either a same day or next day response. This occasionally happens (sorry!). To sort it out you simply need to clear your cache. 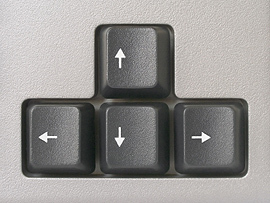 In most computer-based web browsers, to open menus used to clear your cache, cookies, and history, press Ctrl-Shift-Delete (Windows) or Command-Shift-Delete (Mac). If you are struggling a quick Google search will give more detailed instructions. You login to your account here. If you have forgotten your password please click the option to send you a new one. We find that many internet service providers block these auto-sent emails, however so if you don't receive the new password please email us for a manual reset. If you have a particular password you would like us to use please let us know, otherwise we will use the word "password". You can then login and change it to something more secure. Please note that the login for the Musicademy website is different to Worship Backing Band. You will need a separate account for each website. Worship Backing Band pays a license fee (to MCPS and/or the relevant publishers) for the rights to use the various songs (audio & visual) on its products. Churches using the products for public worship will still need to complete their usual CCLI return which reports each time the song is sung. What are EveryKey Chord Charts? Can I get discounts for bulk buys? Do the chord charts correspond to a specific version or arrangement? Our two chord chart formats are explained in detail here. The video below shows how the EveryKey Chord Charts work. Some of our older charts are in Super Chord Chart format. These are explained here. All our new Chord Charts are in the EveryKey format. When you buy 10 or more chorc charts a 20% discount is automatically applied at the checkout. The structure of all our chord charts precisely mirrors Worship Backing Band's MultiTracks and Split Tracks. In turn, these are designed to be "congregational" in their arrangements without lengthy intros, endings and ad libs. Buying Songs Can you buy tracks individually? Is there a free MultiTrack of the month? Song Navigation Can you loop song sections? Can you jump forwards or backwards to any song section in perfect time? Can you jump to any song section? Features Are there lead and backing vocals? Can you create play lists? Can you mix/adjust vocal levels? Can you mix/adjust instrument levels? Can you solo any instrument combination on the fly? Separate foldback and front-of-house mixes? Spoken word audio cue for musicians? We also have a helpful flow chart to help you decide which option is best for you. What software do I need to run the Worship Backing Band DVDs? How do I build a playlist of Split Tracks from the DVDs? Are the songs on the DVDs the same as the Split Tracks? Will the DVDs work with the MultiTrack Player? Can I increase the font size on the screen? Do the on-screen lyrics have videos or images behind them? The DVDs should play in whatever media player your PC or Mac has but if you have any problems we recommend you use VLC (free download here). If you want to download and play the tracks on an iPad or tablet first download to a PC or Mac then transfer to iTunes before opening on the tablet. Note. Neither our dowloadable Split Tracks or the MP4s on the DVDs will play in the MultiTrack Player. You need MultiTracks for that. Our DVDs are coded for all regions so will play all over the world. Simply drag the songs into a play list within Quicktime, ITunes, VLC or another MP4 compatible media player and drag and drop them into the order you choose. The cheapest way to buy the songs is on the DVD compilations but if you would prefer to cherry pick your songs, or download them instantly, simply buy Split Tracks direct from the website. No. The DVDs are compilations of split tracks which are MP4s with all the audio compressed to a single "stem". MultiTracks have 14 separate audio stems which the Player is then able to individually adjust for different sound levels for each instrument stem. If your projector screen is quite small or you are using Split Tracks/DVDs in a very large room you may find the typeface (font) difficult to read on some songs. If this is the case you can employ Windows Magnifier to help (https://www.windowscentral.com/how-use-magnifier-windows-10). If you are running the Split Track/DVD from your computer (PC) you can use the Windows Magnifier to increase the size of the text. Get a Split Track up-and-running and click on the Windows button on your keyboard and the plus (+) button at the same time. You should find that this increases the size of the text on the Split track that is open and running. To go back to normal sized text hit the Windows and minus (–) buttons. No. In our research found that roughly there where as many people who didn’t like videos and images projected behind the words as those who did. They can also pose problems for people who are partically sighted, have ADHD, epilepsy, dyslexia, colour blindness and a number of other conditions. So we decided to keep it simple. Our lyrics are straightforward, easy to read modern white typefaces on a black background with large letters and not too many words on the screen at one time. Churches that would still like to use images can do so by using the audio-only from our DVDs and their own normal manual lyric projection system. Questions about the iPad Player How do I buy the iPad MultiTrack Player? How do I BUY SONGS for the iPad MultiTrack Player? Can I use MultiTracks I PREVIOUSLY PURCHASED from Worship Backing Band in the iPad Player? Can I use MultiTracks or WAVs from OTHER PROVIDERS (or my own tracks) in the iPad Player? Are there any FREE TRACKS for the iPad Player? Will you have an Android version? Can I use the iPad player and tracks in my Mac or PC? Setting up the iPad Player How do I get my songs into the iPad Player? How do I set-up a front-of-house and foldback mix? How to use the iPad Player Getting Started: How do I play songs, build, name, save and re-order a playlist? How do I set-up my instrument mix? How do I hook the iPad Player up to the sound desk? How do I use the click tracks and cues? Questions about the iPad Player tracks What are the differences between the Mac/PC MultiTracks and the iPad MultiTracks? Can I use iPad tracks from Worship Backing Band in another player? Can I have MultiTracks on both on my Mac/PC and my iPad or multiple iPads? Can I download a MultiTrack for iPad to multiple iPads? My query isn’t answered by the FAQs. I still need help. How do I buy the iPad MultiTrack Player? Note that iCloud Drive MUST be enabled to download and use the Player. Songs are purchased from the Worship Backing Band website not the App Store (where you buy the Player). You need to buy MultiTracks (not Split Tracks). When you buy a MultiTrack you will get a download for both our Mac/PC Player and the iPad Player. Make sure you download the correct version! A full song list (with clickable links) is here https://www.worshipbackingband.com/song-list This also shows what formats the songs are available in (MultiTrack, Split Track and Chord Charts). You can filter results alphabetically or search using the search tool in the top right hand corner. If you've previously purchased Worship Backing Band MultiTracks you can download the iPad versions of the tracks you already own free of charge. To get your previously purchased MultiTracks into your iPad. Log into your iCloud Drive on your Mac/PCGo into the Worship Backing Band subfolder and click the cloud symbol in the top menu to upload your tracks. For now we do not have a way of importing tracks other than those created by Worship Backing Band into the iPad Player. Our own MultiTracks and the iPad Player are designed to work together to provide a consistent, quality, easy-to-use experience for playback. Our experience shows that the process of creating effective MultiTracks for use in the player is complex, and our solution to how to best achieve this for your own or third party tracks is still under development. You can use third party tracks in our PC/Mac Player though. Yes. New users get four free iPad MultiTracks PLUS a coupon for two MultiTracks of their choice. Three come pre-loaded in the Player and the fourth is normally available as our free MultiTrack of the Month which is subject to publisher agreement. You can also get two free CCLI top 50 tracks of your choice (worth $34!). Simply email your App Store receipt to [email protected] to get your free tracks. Our usual free track of the month is available in formats both for the PC/Mac Player and the iPad. This will be emailed to you each month once you have signed up and is also available on this page. To get the 2 free MultiTracks you simply need to email [email protected] a copy of your iTunes receipt for the purchase of the iPad Player. We'll then email you a unique coupon code which you can redeem against two any of our MultiTracks. We find that in comparison with the iPad very few churches are using Android tablets. Our experience shows that Android specialty apps are both harder to use and don't sell well, and often don't perform well when released due to the wide variance in Android platforms. Therefore our user experience and technical solution is geared toward the well-standardized iPad platform. No the iPad player can only be used on iPads. We have a PC/Mac Player available. When you purchase a MultiTrack song from us you get two links, one for use with the iPad MultiTrack Player and one for use with our Mac or PC Multitrack player. How do I get my songs into the iPad Player? Once you’ve purchased your MultiTracks from the Worship Backing Band website, using your iPad go to My Account and, using Safari, look for My Downloadable Products in the left menu. You should see links to all your tracks there. Make sure you click the iPad version links! If you click these links on the iPad where the Player is installed, select "Share", then "Copy to Worship Backing Band" to move the song into the Player. Alternatively you may see options to “Open in …” and “Open in WinZip" or some other app. Click “Open in…” and select “Copy to WorshipBackingBand”. The Worship Backing Band screen then loads and your song will show in your Library. To play a song, simply drag it into the blue Play List area on the right of the screen, then double click on the song name. The song name should change from blue to red, after which hit the play button. You can build a play list by dragging any song from your library area into the blue playlist area, and even change the song order by dragging and dropping the song name into a different position in the playlist. Once you have a play list set up, double click on whichever song you would like to play. Note that some users have struggled to complete the above on iPad with Chrome but Safari works fine. There are two mixes, a main mix for the congregation (front-of-house) and a band mix, which also has a number of click tracks and cues to use as foldback for the band. These mixes are completely independent of each other. By default the main mix is set with everything flat and the band mix just has the clicks and cues audible. The basic idea is to mute the tracks where you have live instruments playing and then boost or cut the other instrument stems to taste. Any midi controller can be set up to control the player. We’d recommend a minimum of three buttons to control playing/starting songs and jumping forwards or backwards on the song timeline. For cable-free operation Bluetooth foot controllers like the IK iRig Blueboard and the Positive Grid BT4 will work well. Note these are not our products though so we are unable to provide in-depth technical support for their use. Getting Started: How do I play songs, build, name, save and re-order a playlist? In the iPad Player select the Library button. You’ll see all your songs in the central pane. Swipe them to the right to build a play list. Drag and drop the songs to re-order the list. Swipe left to remove a song from the list. Hit play on the highlighted song or double click to select a different song. When a song completes playing, the next song in the playlist is automatically loaded. The current set list is always saved automatically as you change it and will reload when you next launch the Player. All settings for the song such as mix, arrangement, key, and tempo are saved. To save the current playlist under a name for later use, select the button at the bottom right. Playlists can be named here and any playlist can be loaded, deleted or renamed. Select the mixer button at the top right and you’ll see the stem sliders appear where you can set-up your instrument mix. The iPad Player is designed so you can set up two independent mixes for front-of-house and foldback directly from your iPad’s standard stereo output. To do this, plug a splitter cable into your iPad’s headphone output and into two channels of your mixing desk. There’s a two bar intro click plus a full length click. There’s also a less obtrusive shaker click if you are just putting the tracks through an amp or are worried about the congregation hearing a hard click through your foldback monitors. Finally there’s a spoken word vocal cue that is there to count in song sections and remind the worship leader and band of hard to remember lyrics. Mute whichever clicks and cues you do not want to hear and adjust the volume settings of those you do want audible. The Group Mute button is like a global mix override that works over every song. It is very useful for setting up a standard mix if you arere in a hurry or great if you have to drop into a default mix in the middle of a song spontaneously, perhaps going to a bass and drums only chorus. All mixes are reset back to default by hitting the reset mix button. Start a song by clicking the big circular Play button. The song time line at the bottom shows the current section being played in red. If you want to repeat that section touch it once; it will turn blue and automatically loop once and carry on with the song as normal. If you want to jump to another section again touch the song section you want to go to and it will jump there when the current section finishes. If you press and hold any song section it will give options to loop that section once or twice or skip the section all together – allowing you to pre-set a new arrangement before you play the song. Change key and tempo by pressing the up or down arrows in the top left corner on the key and BPM settings. Any changes will be reflected int he song in the play list. The original key and tempo is always highlighted in red so it is easy to find and go back to the original settings if you need to. If you want to keep the music flowing between songs we have built in some transition pad sounds. Controls are below the play stop and rewind buttons. Clicking the left hand volume up button slowly swells in a pad sound in the key of the song being played. As the player sets up the next song in the playlist, if it is in a different key to the outgoing song, you have the option of pressing the crossfade button in the middle. This will crossfade a new pad in the new key of the upcoming song. You can start the new song at any time and when you are ready press the volume down button to the right of the crossfade button, which will slowly fade the pad sound out. Overall volume control for the pads is on a little horizontal slider directly underneath. The Worship Backing Band iPad app can be controlled hands-free using any MIDI foot switching system or controller. We have used the iRig Blueboard controller as it’s inexpensive and uses a wireless Bluetooth connection to avoid the need for any other cables. Positive Grid also produces a similar, but more rugged looking device that’s worth checking out too. Below is a step-by-step guide to hooking the iRig Blueboard up to Worship Backing Band and choosing the functions that you want the footswitches to control. For other non-Bluetooth MIDI controllers you’ll need an interface & cable to connect it to your iPad. So use steps 1-5 (plus step 8) as a general guide alongside your specific MIDI controller’s instruction manual. Then follow steps 6-12 to set up your footswitches to activate your chosen commands within Worship Backing Band. Download the IK Blueboard app to your iPad and turn on your iRig Blueboard footswitch controller. The blue light at the top right of the footswitch should be flashing. Open the iRig Blueboard app and press MENU on the top right hand corner, then under the drop down menu press the SETTINGS button. In settings under the item ‘iRig Blueboard CONNECTION’ press SCAN and it will search for your footswitch controller. Press iRig Blueboard. This will pair the iPad app with the foot controller. Once paired, your top right foot controller light should stop flashing and light up solid blue. While still in SETTINGS set the MODE to PROG CHANGE (not CTRL CHANGE). Next, while still in the iRig app you need to select a MIDI channel to ‘talk’ to Worship Backing Band MIDI input. At the bottom of the iRig app screen in the centre (under the yellow BANK area) you’ll see a channel section (marked with a number 1-16 and CH or ALL CH) Press it to select a channel of your choice, e.g. channel 16. Now open the Worship Backing Band app on your iPad and navigate to the PEDAL CONTROL page by the settings/help button at the top right of the screen and selecting PEDAL CONTROL the left hand side of the screen. This should bring up the MIDI menu with the commands you can make your foot controller perform within the Worship Backing Band app. Select the tick box for MIDI on the right hand side of the screen, and slide the number wheels next to the tick box to match the MIDI channel you selected in step 5. Press one of the foot switch buttons on your iRig foot controller (e.g. the A button). The button should light up blue. Then on the Worship Backing Band app press the square ‘soft’ button directly to the left of the command you would like the footswitch to perform (e.g. Back Up Section). It you want more choices, click the text with the command and pop up a menu will appear. After you press the soft button, the small white number wheels next to the command should change to show the MIDI command assigned to that action. As you press the footswitch repeatedly, the soft button should light on and off to confirm that button is assigned. Test that the foot controller and the Worship Backing Band app are communicating by dragging a song into the playlist area and using the footswitch buttons to control the functions you’ve chosen. You can also test by looking at the pedal control area of the Worship backing Band app. In the the small window below the MIDI tick box at the bottom right of the screen you should see the command numbers change as you press footswitches on the iRig. If you have one or more expression pedals plugged into your iRig MIDI controller, you can assign these in a similar manner. Press the pedal with your foot, and press the soft button beside one of the tho available pedal actions to assign them to either the main or pad volume. Worship Backing Band and the iRig app will save your settings. When you restart, remember to run the iRig app in the background, and then run the Worship Backing Band app. To check out your setup, just go to the PEDAL CONTROL page, and confirm the soft buttons light up next to the actions you want for each foot switch.Note that footswitches are not our products though so we are unable to provide in-depth technical support for their use. What are the differences between the Mac/PC MultiTracks and the iPad MultiTracks? The iPad tracks are compressed in a high quality audio format so they still sound great but are much smaller in size than the full studio WAV versions which you also get as part of your purchase. At around 40-70mb these are more suitable for iPad storage and can also be stored in your iCloud. The Player uses only iCloud drive for its track storage, so you must enable iCloud drive on the iPad to use the iPad Player. All tracks for a given user (Apple ID) are stored in an iCloud drive folder under the Worship Backing Band subfolder, which is created when the app is installed and run. Within Settings and iCloud check that the "Show on Home Screen" button is turned on (shows green). This will enable the iCloud Drive app to appear on your iPad. To find the Worship Backing Band subfolder click on the iCloud Drive app. You'll find all your songs and play lists within this subfolder. To save a track from a link to the the iPad, click the link, select "Share", then "Copy to Worship Backing Band" to move the song into the player. The song will then be stored in the iCloud Drive Worship Backing Band folder and appear in the Player. To copy a track into the Player from a Mac or PC, move the zip file to iCloud Drive, under the "Worship Backing Band" folder, or upload the file to iCloud Drive, under the Worship Backing Band subfolder, via the web portal. The files will sync to any iPad logged in to the same Apple Id as the one used to copy the files. Files will appear one at a time in the iPad player as they are synced to the iPad. To free up iCloud Drive track storage or delete a mistaken download, move the files out of iCloud Drive to another location or just delete them from iCloud Drive using the iCloud Drive or Files app on the iPad. Be aware that the number of downloads per song on the Worship Backing Band website is limited so only delete songs you know that you no longer need. When you purchase a Worship Backing Band MultiTrack song we give you two links, a set of stems in a compressed format designed to be used only in our own iPad player and an uncompressed set of WAV studio files that are pre configured for both Ableton Live and our own PC and Mac player, but can also be used in any other DAW software like Pro Tools, Logic or Garageband. So if you change player you can still use our tracks, however our technical support is limited to users of our complete player and tracks solution only. Go to your iCloud Drive app on your iPad and click on it. In there you’ll find a Worship Backing Band icon wth each song you have listed as an ‘item’. Once you’ve clicked into the Worship Backing Band icon, a long press on any song will give you the option to delete it. Do be aware that once that song is deleted it is permanently deleted (and the number of downloads you get on our website is limited - it is your responsibility to back up your tracks once they are downloaded), so if you think you might want it again do back up that file in another place. If you have a Mac or PC linked to your iPad then copy the file from your iCloud Drive onto your computer. Alternatively, (if you’re happy to pay for it) you might consider getting more iCloud space from Apple. Copy the files on your IPad to another cloud file sharing service, such as Dropbox or Box, that does support selective file sync, then mark those files to not be stored on your device, thereby backing them up to that service from your IPad. In all cases, once the files have been backed up, you can just delete them from the Icloud Drive Worship Backing Band folder (see the other FAQ for how to do that) and free the space both on your device and in your ICloud allocation. If you want to use that song again, you will need to reverse the process to copy the song back into the Worship Backing Band Icloud folder and wait for it to sync. Similarly, if a user buys a song on their PC or Mac, they can download the zip file to wherever they want, then copy it into the Icloud Drive Worship Backing Band folder when they want to use it in the app. This is in lieu of the 'Copy to Worship Backing Band' step in the download instructions. One more thing worth noting is that deleted files are kept by Apple for 30 days in the cloud, so, for instance if they need to delete some songs to make space for new ones they just bought for a service or something, they can delete ones they don't need now without losing them, then handle the storage issue after. So long as you are the only user we do not expect you to buy a multi-user license even if you are using the same songs on both your Mac/PC and your iPad. If, however, the iPad Player is being used by other people or is installed on a second iPad you need to buy an additional Player from the App Store and one multi-user license per song per user from Worship Backing Band. You are not permitted to share songs with other users unless you have a license in place. Yes but you will need to also purchase a multi-user license per song per iPad. If you experience something strange with the app the first thing to check is that you have the most up-to-date iOS on your iPad. Here are Apple's guidelines for doing that. Toggle the physical button on the side of your iPad. Check it is not set to mute but is on full. This happens when iCloud Drive is not enabled. Please enable iCould Drive, uninstall the app, restart your iPad then reinstall the app. We provide technical support by email only. It's quick and friendly! Please email [email protected] and provide as much information as possible about your query or your support issue. Make sure you tell us what your iOS version is. Before you email us please check is that you have the most up-to-date iOS on your iPad. Here are Apple's guidelines for doing that. Due to the international nature of our customer base we are unable to provide phone support but we do try to respond to email queries quickly. To move to the next song simply double tap and will load straight away. However if you let the song in the play list finish it will automatically line up and load the next song. All you have to do is press play when you’re ready. Older iPads are less sensitive to clicks so you may find that clicking appears less consistent with older iPads. An iPad works like any other computer in as much as if you have a lot of other apps loaded in the background, or an older machine, movement can be slowed down. Please close down anything else you’re not actively using. Can I get a demo version of the Player? Questions about the Player What technical specs do I need to run the player? Will the player run on iPad/tablet/Android/smartphones? Do I need to be online to use Worship Backing Band? Are there lyrics with the MultiTrack Player? Can I put songs from CDs or iTunes into the Player? I have a number of worship leaders who want to use the player – can I get a multi user license? What can't I do with the Player? Setting up the Player How do I download the player, import the songs and where are they located on my computer? How do I hook up my computer to the sound desk? How to use the Player How do I build a playlist (setlist) in the Worship Backing Band player? How do I create an instrument mix using the Player? How do I mix, mute or solo instruments, create and save a mix, and set up front-of-house (congregation) and foldback (band) mixes? What are the hot keys and their functions? Using Foot Switches How do I connect a USB or midi foot switch to the Player and map it to the Hot Keys? Importing 3rd party or your own songs How do I import my own songs, alternative stems or songs from other providers? Troubleshooting The player shows an alert saying "Couldn't load the .mov file" when I try to import a song. How do I remove a song from my Player Library? Questions about MultiTrack stems (songs) How do I remove a song from my Library? We did have a demo version of our PC/Mac Player in the past but found the majority of users downloaded it because it was free but never got around to testing it. So as common with most software products these days, instead of a demo version we provide lots of videos showing the Player in action and leading you through the features, which is perfect to show any budget holders/decision makers in your church team. We do normally have a free track available that you can then use to experiment with the Player. Our iPad player is inexpensive (19.99), comes pre-loaded with 3 free tracks so you can properly test it in your own church setting for an extremely modest outlay. PLUS you will get a coupon code for two free MultiTracks of your choice (which provide a value of more than the initial cost of the Player). Just email us a copy of your iTunes receipt to get your unique coupon code. What technical specs do I need to run the player? Windows XP, Vista, Windows 7 Vista and Windows 7, 8 or 10 with 1Gb RAM. Please note that sometimes we experience problems with Vista due to well documented issues with Vista and QuickTime. We will do our best to support this but if they cannot be resolved we will offer a refund. The software will not run on Linux systems (this includes Chrome Books). (Please see Troubleshooting questions if you are having problems with QuickTime. Intel based Macintosh, running Mac OSX 10.6 or higher with 1Gb RAM. It is compatible with El Capitan and downloads since November 15 2015 support Mac's new Sierra operating system. Existing users upgrading to Sierra that experience technical difficulties should email us for support. The player will NOT function on tablets, iPads or Power PC Macs. The current MultiTrack Player is PC and Mac only. In addition to the PC/Mac MultiTrack player, there is a separate iPad Multitrack Player, downloadable from the Apple App Store. The iPad player uses the same MultiTrack song stems available from worshipbckingband.com but in an iPad specific, compressed format. All MultiTrack song purchases include access to both WAV stems for the PC/Mac player and iPad stems. We don't currently have a Player for other tablets or smartphones. No. Both the player software and the songs are downloaded locally to your computer so you don’t need to be online. The Player and Tracks need to be downloaded once with an internet connection then you can turn the connection off! Note that the Player must be downloaded from our weblink (not via a usb stick). Tracks can be transferred from one computer to another using a usb stick (please ensure you have a Multi-user license for each track held on more than one computer). We have found that most churches prefer to stay with their existing lyric projection system which gives them the options of background images if required. Not having lyrics has enabled us to keep the price of the Player and tracks down and also means that you aren't paying unnecessary license fees for lyric files you are unlikely to use. If churches want to run lyric projection software such as Easy Worship from the same computer as the MultiTrack Player we recommend that you use two screens - one for the Player and one for the lyric software. In practice most churches have their worship leader using the MultiTrack Player on a laptop at the front of the church and a lyric projectionist using a separate computer from the back. No. Songs on CDs or iTunes are MP4s with all the audio compressed to a single "stem". MultiTracks have 14 separate audio stems which the Player is then able to individually adjust for different sound levels for each instrument stem. When we sell you the MultiTrack Player and songs we are selling them to you as an individual or church for use on a single computer. If you want to put the player and songs on an additional computer we ask that you buy an additional license for the Player and one additional license per song downloaded. You can read more here and also find links to the multi-user licenses too. How do I download the player, import the songs and where are they located on my computer? To download the Player once you have purchased it login to your account and go to My Downloadable Products. Click to download the programme and follow the instructions to install. When you have purchased and downloaded the songs, they will be stored as zip files in the place your computer normally saves downloads. Typically this is a folder called "My Downloads". 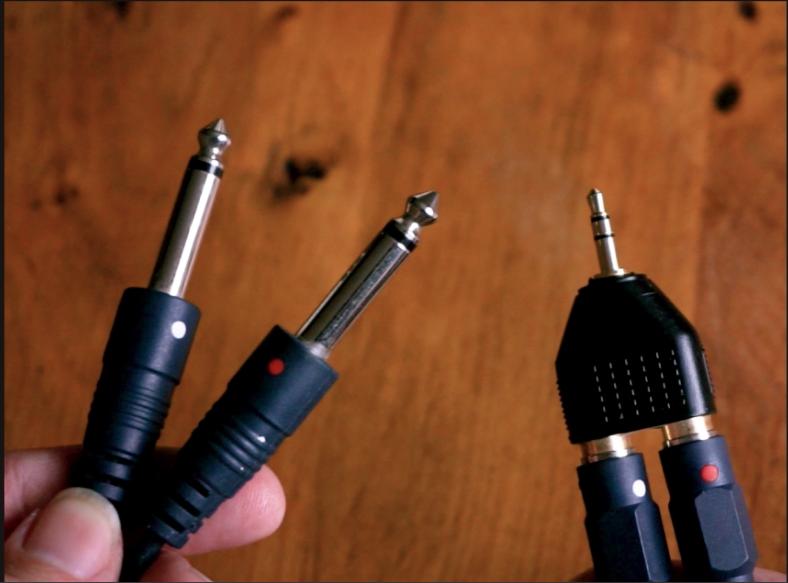 If you want to use the two separate congregation/band mixes available you need a standard cable that goes from your 3.5mm stereo computer headphone output that splits into 2 inputs on your church mixing desk, which are most likely standard ¼ inch jack plugs. If your church/small group doesn’t have a PA system and is just using a single amp then a standard 3.5mm to whatever input your amp has (again probably ¼ inch stereo) will be fine. How do I build a playlist (setlist) in the Worship Backing Band player? Each instrument stem has two independent volume sliders marked L (left) and R (right). Moving any slider forward or back boosts or cuts that instrument stems volume. You can boost and cut the volume of any instrument in the mix by using the stems’ individual volume slides. Moving a slider to the right boosts the signal and moving to the left cuts it. Any changes are saved via hitting the Save Song Mix button. The reason why each instrument stem has two independent volumes marked L and R is so that you can set up two separate mixes. One for front-of-house/ congregation (e.g. L) and the other as foldback/band (e.g. R) For instance you might want only the band (R) to hear the click track loudly. So boost the click slider marked R and bring the click slider above marked L down to 0. Direct under the name of every instrument stem (e.g.ELEC1) there are two buttons. Mute and S (solo). Pressing the Mute button completely mutes the audio for that instrument stem on that song only, and the S button solos the audio for that stem only. Pressing the button a second time unmutes/unsolos that stem. You can choose any combination of mutes and solos you want. Hitting the Save Song Mix button saves your chosen mute/solo combination even if you remove that song from the playlist. You can also solo/unsolo stem numbers 2-10 (Vox-Drums) using the Hot Keys 123456789 on the top of your keyboard under the F1 F2 F3 F4 etc keys. 0 solos the click track. Pressing the same key again unsolos that stem. This means you can also assign any stem to a keystroke basedUSBfootpedal – e.g. If you want to go to a chorus with just bass and drums hit the 8 and 9 keys together at the appropriate moment or even assign keys 8 and 9 to your footpedal for total hands free operation. Just like soloing you can mute/unmute the same stems using the QWERTYUIO keys. These keys can again be assigned to a keystroke basedUSBfootpedal for hands free operation. How do I create and save a mix? You can build your own unique song mix by muting, soloing or mixing the volume of any of the instrument stems. Hitting the Save Song Mix button on the top left hand side of the player saves any muted, soloed or adjusted volume sliders as well as tempo and key changes for that song ONLY. That data will be saved for that song until you resave a different mix or hit the Reset Song Mix button (placed next to the Save Song Mix button) even if you remove the song from the play list. N.B. Data is saved locally on your computer so if you transfer your player and tracks to a different machine then you will need to re-setup your song mixes. Please note you need an additional license for multi-users and a second computer. How do I set up front-of-house (congregation) and foldback (band) mixes? The reason why each instrument stem has two independent volumes marked L and R is so that you can set up two separate mixes. One for front of house/ congregation (e.g. L) and the other as foldback/band (e.g. R) For instance you might want only the band (R) to hear the click track loudly. So boost the click slider marked R and bring the click slider above marked L down to 0. Press the spacebar once to both start a song and whilst the song is playing, loop the current song section one time. To jump or skip to a different song section use the , . buttons (that also show the < > symbols) to toggle backwards or forwards to a different verse/chorus/bridge section. Once you’ve toggled to your chosen section press the space bar once to activate the new song section. The player will automatically jump to the new song section when the current section has finished playing. Once songs are built into a playlist you can skip between songs by using the up/down arrow keys on your keyboard. To change tempo, move the tempo slider (to the left of the Play button in the centre of the player) up or down. To save the new tempo for that song hit the Save Song Mix button at the top left of the player in the Band pane. The tempo will be saved for that song until you adjust the tempo slider or hit the tempo reset button at the base of the tempo slider (followed by Save Song Mix button if you want to save the changed tempo). To change key use the + or – buttons in the key change area (to the left of the Play button in the centre of the player). The key change increments are set in semitones/ half steps up or down. To save the new key for that song hit the Save Song Mix button at the top left of the player in the Band pane. The new key will be saved for that song until you resave a different key or hit the Reset Song Mix button (placed next to the Save Song Mix button) even if you remove the song from the play list. Hitting the spacebar in the song section, currently playing (e.g. Verse 2) will cause the section to be repeated or looped ONCE, automatically and then carry on playing the rest of the song. Hitting the spacebar again before the repeat has taken place will cause the action to be cancelled. You can repeat a section as many times as you like with a single touch of the spacebar. Again for total hands-free control the spacebar can be assigned to any keystroke based USB footpedal. To change the sequence of the standard song structure toggle the < > keys backwards or forwards while a song is playing until you toggle over the new song section you want to jump to. This will cause sections in the song timeline to change colour from yellow to dark red/purple. Once you have toggled over the required section hit the spacebar once and the section will change colour to bright red. At the end of the current song section the player will jump to the chosen section automatically and in time. Again for total hands-free control the < > keys can be assigned to any keystroke based USB footpedal. How do I connect a USB or midi foot switch to the Player and map it to the Hot Keys? The video below shows you how to use a foot controller. For total hands-free control any of the Hot Keys can be assigned to any keystroke basedUSBfootpedal. We’d recommend assigning the < > keys and spacebar to the left, right and centre buttons of a 3 button footpedal for full live control over all play, loop and jump/cueing functions. If you have a or second footpedal or a foot pedal with more buttons like the Keith McMillen Soft Step Controller (or any in that series). Please note that the company Keyworx appear to have gone out of business so we are unable to recommend using that in conjunction with the Soft Step. There are other free keystroke/midi mapping software options available (we don't endorse or support any particular brand). How do I import my own songs, alternative stems or songs from other providers? There are two ways to add stems created or purchased outside Worship Backing Band (for instance at sites like Loop Community). This does require some technical know-how on WAV configuration and access to a DAW such as GarageBand. The configuration of your own or other Wavs needs to match the configuration of our own Wavs exactly to play in our Player so is not instant 'plug and play' in the same way as our own Worship Backing Band Wavs are. The process seems a little complicated but once you get the hang of it, it is relatively simple - you just need to be very accurate as mistakes will result in an error. Firstly, do ensure that the stems are in Wav format. You can replace any of the stems in an existing Pro Wav Stem song with a Wav audio stem that you’ve created (e.g. substitute the shaker audio for a new guitar part you’ve recorded) and secondly you can import full songs that you’ve created in your preferred DAW software as Wav stems into the player. First locate the song file folder for the song you wish to edit on your computer and replace the individual instrument wav stem like-for-like with your new audio stem exported via your preferred DAW software. To do this go to your C: Drive or Home folder. There you should find a Worship Backing Band folder. Click into the folder and you should find a variety of other folders. Click into the Songs folder and then into the folder for the song you want to select (note - there are other file types with the same song name here. Ignore these, just click on the folder icon). Next click into the song (not MacOSX folder), then ‘Samples’, then ‘Imported’. Here you will the 14 individual Wav instrument stem parts for each song. Drag all those stems into your preferred DAW software to find out the exact song length. Create a stem of audio to the exact same length of all the other 14 stems and balance the volume to taste. Our stems are in mono/mono format so left and right audio must be exactly the same with no panning and effectively mixed all to centre. There must be exactly one space character between words and no spaces at the start or end of the name. You can import any Wav stems into the player to create a custom song but this is not the quick 'Plug and Play' of our Worship Backing Band stems so will require you first to do some configuration in a DAW such as Ableton or Garageband. This is explained below. Our player supports up to 14 stems of Wav audio so simply configure your song audio into 14 stems, export it as Wavs from your DAW recording software and drag it into the library of the Pro Wav Player as per our own Pro Wav Stem Songs. To do this the stems from your recording software need to be bounced out as Wavs all at exactly the same length. If you have less than 14 stems in your song bounce the remainder of the 14 out as blank audio. In our MultiTrack player all our songs are mixed as mono/mono with no panning i.e. everything mixed centre to make use of the left/right separate front of house and foldback monitor mix options. We’d suggest you do the same to make full use of this feature. If you want the player to be able to loop and jump backwards and forwards to verses and choruses within your song you need to make note within your DAW software of the exact 100th of seconds of each of those marker points. To do this either click on each song section marker point in your DAW software and manually make note of its timing (e.g. 151.39 secs). Some software like ProTools will give you the ability to run out a marker point text file so that you don’t need to manually make a note of each point. See your DAW software instructions for how to do this. Note - if you want to incorporate space for a two bar intro click as per our Pro Wav stem songs you need to set this up BEFORE making note of the marker points (as they will obviously change if you then add a two bar intro. Then open the library area of the Pro Wav Player and drag the whole folder in. The song will be listed in the library area as ‘My New Song’ until you change the name and set up the verse/chorus/bridge marker change points. Setting up your song’s name, key and marker change points. Drag ‘My New Song’ from your library into the playlist area on the right hand side of the player. Hit Control m simultaneously and a deep edit screen will appear over the player. Here on the left hand side you can add the song name, song key and in the centre two sections marked ‘section start point’ and ‘section finish point’ where you add in the songs verse/chorus/bridge marker change points in 100ths of seconds. The song should start at 0.00 so the first section finish point should be at the beginning of your intro if you have added space for a two bar intro click as detailed above. So if your intro start 6.315 seconds, out that data in the section finish field. Continue with these steps until you have entered all the possible section change points you may want to jump to while you play the song. The final section finish point should be the very end point of the entire song. Remember to save your changes via the save button at the top left of this deep edit screen. There are two ways to build a custom arrangement. The simplest method which will be enough for most users is to change the arrangement on the fly via the < > spacebar mute and solo hot keys. These functions are designed for one touch simplicity in a live worship team environment and should suit 95% of users 95% of the time. The stems you’ve got are high quality WAVs so you can import them into any DAW software and chop, change or replace them to your hearts content. Then all you need to do is re-import them into the player. If you have imported a song that did not include metadata, it will be given a name such as "WBB90075_0102My Song". 1. Open the folder where the player is located.The name of the folder is "MultiTrackProWavPlayer".On a Mac, it's in your Home folder; on Windows, it's at the top level of the C: drive.2. In that folder, you will see a folder named 'songs'.Open that folder.This folder is where the song library files are stored.Each song in the library comprises two files and one folder.Each custom songs is given a unique code of the form "WBB9nnnn_0102" (where nnnn is a 4-digit number)The 2 files and folder include that code.The files are named "song_WBB9nnnn_0102.js" and "WBB9nnnn_0102.mov".The folder name will end with "song_WBB9nnn_0102"and will begin with the name of the folder (or zip file) that contains the Ableton project.For example, for a song imported from an Ableton project in folder "my_ableton_song_project", the files and folder might be named as follows:song_WBB90075_0102.jsWBB90075_0102.movmy_ableton_song_project_496c97cf53e418f04bf0f66ad34250de_song_WBB90075_01023. To remove a custom song, simply delete the corresponding correct files and folder.There is no need to quit the player. However, the song library listing is only updated when you click on the "LIBRARY" button so you may need to click it twice (once to hide the song library list and again to show the list). The player shows an alert saying "Couldn't load the .mov file" when I try to import a song. This indicates that QuickTime is not installed correctly on your Windows computer. Your Windows PC may be set to play in mono! If so, when you use the MultiTrack Player you will not hear any changes that you make which affect the audio in the left/right channels. Finally, in the sound control panel is a "Configure" button, which will allow you to test your audio setup and check that you are playing back in stereo. Please confirm that you have used this button and that you can hear the output in stereo. If you are using a Windows PC and the audio pops, clicks, crackles or goes silent (drops out) for short periods then try disabling the so-called "audio enhancements", which are known to cause problems with Windows audio. For Windows 10, go to this page: http://windows.microsoft.com/en-gb/windows-10/fix-sound-problems#v1h=tab05 then click on the "Turn off Audio Enhancements" link on the left. 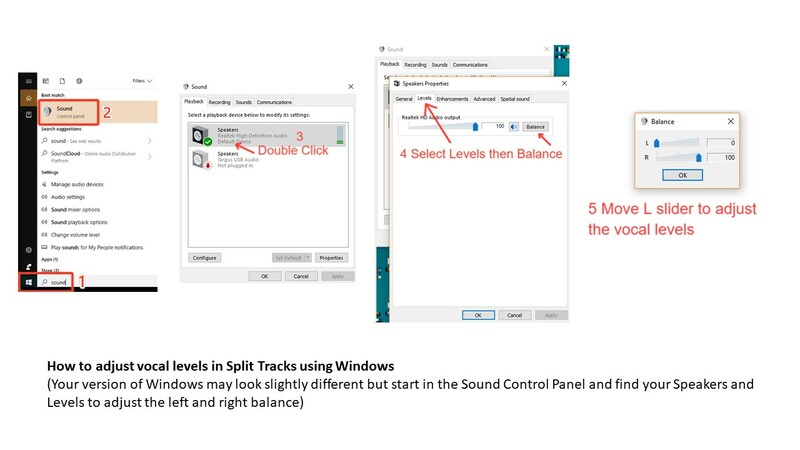 If you are having problems with the left and right channel volume levels on a PC and everything seems to be playing at the same level in each channelyour Windows PC may be set to play in mono ! If you are using a Windows PC and the audio pops, clicks, crackles or goes silent (drops out) for short periods then try disabling the so-called "audio enhancements", which are known to cause problems with Windows audio. Instructions for doing this are above. This is a problem that happens to some existing Mac users when they upgrade their Mac operating system. Users get a message telling them that their library needs to be updated or that you need to update to the newest version. First of all please check that you are runnign the latest version of our Player - this is currently 1.0f26 if you are on a Mac. You will find this number at the top of the Player screen when it is running. Assuming this is the case you need to re-import all your songs into the latest version of the Player. Here are instructions on how to do that. Please follow them very carefully. If, at any stage you aren't sure what to do next (or the instructions aren't clear) please stop and email us. It must say "MultiTrack Pro Wav Player Version 1.0f26" at the top. Click on the LIBRARY button. It should show an empty library (i.e. no songs). With the player open, go to the Finder and open the songs_old folder. When you have imported one song, quit the player, then open the player.The player should NOT give an alert saying "The songs in your library need to be updated. "If it does, stop and let me know, so can help to find out what went wrong.The player should show the first song that you have re-imported in the library.Drag that song into your playlist and try to play it.It should play with no errors.If it does, stop and let me know, so can help to find out what went wrong. Now continue importing all your remaining songs, following the same procedure described in steps 8 to 11. Keep a note of which songs you have imported. If you try to import a song a second time, the player will show an alert saying "You are trying to import a song that already exists". In that case, click on the button labelled "Abort song import"
3. On your computer, find and open the player's "songs" folder. In there, you will see several (possibly many) files. 4. Find and remove the song metadata file. Optionally, remove other related files. In the list of song files, for each song there are 2 files and 1 folder. The folder for a song will have a very long name that starts with something similar to the song title and ends with "song_WBB0nnnn_nnnn" (where 'n' denotes a number between 0 and 9). Look for a file whose named matches the "song_WBB0nnnn_nnnn" string at the end of that folder name with an extension of ".js". In this example, you would look for a file named "song_WBB0150_0102.js". This is known as the song metadata file. Note that, depending on your computer settings, you may / may not see the extension part. So, in this example, you may only see a file named "song_WBB0150_0102"
To prevent the player loading the song, delete that file. Optionally, you can remove the folder for the song (i.e. the one with the very long name), as that will be very large (around 500Mb). However, this is not necessary if you only want to remove the song from the player's library. Although QuickTime is no longer supported by Apple, it is still possible to install it. Navigate to the download location. Right-click on the QuickTime installer and open Properties. Check the ”Run this program in compatibility mode for” box. Select Windows Vista from the drop-down menu. Confirm changes and close Properties. How do I remove a song from my Library? Backing up How do I back up my tracks? I've got a new computer how do I get my tracks? Bulk buys and Multi-user licenses Can I get discounts for buying songs in bulk? Can I share MultiTracks with other musicians on my worship team? Questions about MultiTrack stems (songs) How big are the song files? Which instrument stems are there in each song? Are there chord charts to go with the songs? Are more songs being added to the catalogue? Who is singing and playing on the songs? Can I use Worship Backing Band MultiTracks in other players? How do I back up my tracks? I've got a new computer how do I get my tracks? It is your responsibility to back up your files. Replacing lost files individually is very administratively time consuming for our team and our website does not allow us to simply reinstate lost files to your account. To make matters easy and to help you avoid extra expense we always give at least 3 download attempts with each purchase. Most customers use one download attempt on their initial install which leaves them 2 spare for future use. Of course sometimes your broadband connection is disturbed or you perhaps get confused when downloading so you may end up using all your spare attempts. The Player - if you still have download attempts remaining simply login to your account on your new computer (if you have forgotten your password and when you hit password reminder an email doesn't arrive, it is because your ISP is blocking our auto generated emails. In this case please email us for a manual reset). Once logged in, go to My Downloadable Products and download the MultiTrack player. This will set the player up on your new computer and also set up an empty "Songs" folder. If you don't have download attempts remaining you will need to purchase the player again. Copying the player files from the old to new pc is for very technically proficient users only due to the install process. We do not provide support for this. (The songs are much easier to retrieve and copy manually from one computer to another so you should not need to repurchase these.) We realise that this will involve you in additional expenditure so once you have purchased again please email us both the original and new order numbers and we will give you a 50% refund on the second purchase. The Songs - the songs are stored in a songs sub folder called Songs on your C Drive inside the Worship Backing Band or Pro Wav Player folder. PC users can simply copy the contents of the Songs folder to a pen/usb drive to move to the new computer. Note that due to a bug in Apple's QuickTime Mac users need to have backed up the original zip (NOT THE UNZIPPED) files downloaded and drag these into any new installation of the Player (for instance on a new Mac). If you have not backed the songs up, then look in My Downloads in your Worship Backing Band account. If you have download attempts remaining then simply re-download. If you have used up all your download attempts you will need to re-purchase. We will then refund your second purchase less an admin fee. Note that we have to pay licensing fees for these second purchases so they are not without cost to us. You are always welcome to email us for technical support (please note this is not provided on the phone). Normally we can sort any problems out quickly and efficiently. If we have to provide replacement direct links to either the player or the songs, a charge will be made to cover our admin time. For our iPad Player and Songs Please go to the iPad Player FAQ section (navigation in the left column on this page) for more information. Can I get discounts for buying songs in bulk? We also have bundle options on our Top10 and Top 25 best selling MultiTracks. These are perfect for churches new to MultiTracks needing to build a library of songs from scratch. You can see details of all our bulk buys here. How big are the song files? Our MultiTracks are uncompressed studio Wav files. These files are large by their very nature but give you the clearest possible high definition sound. Each song comes as a zip file and is roughly 300-500mb in size depending on song length. So when downloading do make sure you have a strong uninterrupted broadband connection. Our iPad tracks are compressed for optimal iPad storage so are much smaller in size. What's in the extras stem? Stem 11 is where we place any leftover parts from our recordings that bring something extra to the sound but don’t naturally fit into the other stems. The sounds are song specific and will fatten the overall sound of your live band. This could be extra guitars, keyboards, programmed samples, drum loops or even strings or brass. About 80% of our tracks have audio in the extras stem. Why are there 3 click tracks? There are two main click tracks - stem number 1 which is purely a two bar intro click and stem 12 which runs the full length of the song. Both of which you can solo or mute. Most worship bands that don’t use the full length click will still want a click to intro the song. Most worship teams also just want the band and not the congregation to be able to hear either click track, and you can do this via setting up separate front of house and foldback mixes on your mixing desk (see the how to guide above). For churches without a mixing desk we’ve also given you a shaker click (stem 13) which gives an alternative, more natural sounding click which isn’t as obtrusive when heard by the congregation. You'll find our EveryKey chord charts for the majority of our tracks in our webstore. Our chord charts follow the Worship Backing Band arrangement exactly, and of course have the correct chords as well as lots of other features! You are unlikely to find that "free" chord charts elsewhere on the internet have the same arrangements or exactly the same chords. We are adding new songs all the time. We tend to focus on the CCLI Top 150 songs and try to pick those that we think will be popular for the long term. We prefer to create our own "congrgational" versions of songs as close to the definitive/original version as possible but with a focus on usability in the local church. We find that many original recordings are simply in the wrong key for most congregations and often have lengthy intros, outros and instrumental sections. We use some of the best session musicians involved in contemporary Christian worship. Many of whom have also played on the original recordings or performed live with the artists themselves. Yes. As the full Wav MultiTrack stems song files you purchase for the Pro Wav player are standard Wav files they can be used in any other Digital Audio Workstation software such as Ableton, ProTools or GarageBand that accepts Wav stems. The iPad variants of the songs (that you also get at the same time as the full Wavs) are for the Worship Backing Band iPad only. Furthermore the MultiTrack stems song files you purchase also contain a fully configured Ableton file, so if you have Ableton Live, just click on the Ableton icon in the zip file and the Ableton session should automatically open for you. Some churches use Ableton as it has very powerful functionality, however we’ve designed our MultiTrack player to be the simplest and easiest to use software interface available, so it should much more suitable for 95% of users, 95% of the time. How do I assign midi controllers in Ableton? How do I control Pro Presenter in Ableton? How do I add a lyric video in Ableton? How do I build a set list in Arrangement View in Ableton? How do I adjust tempo key and volume and use the warp feature in Ableton? How do I use complex pro and automation to change key and tempo in Ableton? How to use Split Tracks How do I adjust the volume of the vocals? How do I build a playlist of Split Tracks? Questions about Split Tracks What are Split Tracks? Do I need any special software to run Split Tracks? Can I use SplitTracks on an iPad? Are the Split Tracks and MultiTracks the same recordings? What’s the difference between MultiTracks and Split Tracks? Will Split Tracks play in the MultiTrack Player? How do I adjust the volume of the vocals? Either use the balance control on your computer or on your PA system. If testing on a computer please use headphones so you cn be sure to hear the right and left channels distinctly. The left earphone should be playing the vocals and band with the band only in the right. On your computer’s internal audio balance button or slider, move it left to right and hear the results. If you hearing vocals in both earphones or there’s no change to the sound then your computer is outputting audio to mono. If you are inputting your computer into your church PA system there are a couple of ways of doing this. Firstly you could connect the 3.5 mm headphone output of your computer via a standard stereo cable into an input of the mixing desk, sound system or amp that has a left/right pan or balance control and simply adjust as you wish.Alternatively you could get a splitter cable that still goes from your headphone output but now splits into two inputs on your mixing desk. Then use the volume inputs or faders on the desk to balance the level of the vocal. The other option is to use the internal left/right balance control on your computers own software volume mixer. This should be within the audio settings on the control panel on a PC and within system preferences on a Mac. Alternatively if you can’t find your computer’s balance settings you could use a media player that has separate left/right balance controls. How do the on screen lyrics work? The lyrics are basically a movie that runs in time with the music and automatically changes in synch with the song. We’ve improved them from our original worship backing band DVD with an even crisper high definition font and adjusted the timing so each new lyric screen comes in well before you need to sing the words. The split tracks are mixed as a standard stereo file with the full band and vocals on one side and just the band without vocals on the other.You change the volume of the vocals on your actual computers left/right internal volume balance – not on Windows Media Player/ITunes etc. (Just like the balance control on a standard stereo system). To do this go into: Control Panel, select Sound/Audio icon (probably the icon is a speaker but it depends on your particular system).Click into it and look for Speakers/Headphones (you might have other icons such as digital ouput device, microphone settings etc).Again click on speakers and headphones and if you are in windows you probably have a tab called levels. That should bring up either left/right speaker balance sliders or a general slider with speakers with a button called balance next to it. Then you should have a variety of sliders depending on system, marked L,R,C, Sub etc. Play the track and adjust the left/right sliders to taste. Finally, in the sound control panel is a "Configure" button, which will allow you to test your audio setup and check that you are playing back in stereo. Select the "Playback" tab if it's not already chosen. Select your headphones. Click the "Configure" button, which pulls up the Speaker Setup dialog box. Click "Stereo" from the "Audio Channels" menu. Please confirm that you have used this button and that you can hear the output in stereo. Similarly, you may need to turn off the "Effects" option. In terms of which speakers the sound will then come out of. If you are just coming out of your computer into a home stereo then yes, it will come out of one speaker. If you are going into a church PA system then that will allow you to mix in mono and have sound coming out of both speakers. If you are running the Split Track from your computer (PC) you can use the Windows Magnifier to increase the size of the text. Split Tracks are a specially mixed version of our backing track recordings that allow you to adjust the level of the lead vocal from full volume to down to zero. This is really helpful for churches without confident worship leaders or singers that need just a little bit of a good strong lead vocal to help guide them through the song. It’s done by mixing the full band plus the lead vocal in the left hand side of the sound and the band only without the vocal in the right hand side. So as you adjust your audio balance control from left to right you get more or less vocal volume according to your requirements. You can buy Split Tracks as individual downloads from our website or in 35 song compliations on DVD. The files are are MP4s and designed to be played within a standard freely available media player like Itunes or VLC. So simply purchase the songs you want and build them into play lists as you wish. If you need itunes download it here. Split Tracks WILL NOT play in the MultiTrack Player. You need MultiTracks for the MultiTrack Player. If you have purchased Split Tracks in error, first re-purchase those songs as MultiTracks in a single transaction. Then email us to request a refund on the Split Tracks. This is the only circumstance where we are able to allow refunds of downloadable products. Yes, you can use SplitTracks on an iPad, however, they cannot be downloaded directly to the iPad. You would need to download to a PC/Mac first and then add the SplitTrack to your iTunes account. Once in iTunes, the SplitTrack can be accessed via the iTunes account on the iPad. Yes. They are the same recordings but they are in different formats. Split Tracks are MP4s with on screen lyrics whereas MultiTracks are in wav format with lots of functionality when played in either our MultiTrack Player or a DAW of your choosing. You cannot use the Split Tracks in the MultiTrack Player. This table is helpful for you to use to compare the differences between MultiTracks and Split Tracks. No. Split Tracks are MP4s with all the audio compressed to a single "stem". MultiTracks have 14 separate audio stems which the Player is then able to individually adjust for different sound levels for each instrument stem. Downloadable document listing all the songs. Simply click to view (it is a Google Sheet which you can then print off).